4 years experience across 3 continents without any incidents. our team is tightly tuned to insure we safely and efficiently capture your cinematic aerials. FAA Certified Part 107 sUAS Remote Pilot cleared for Commercial and Closed Set Filming. We carry industry leading Liability Insurance starting at 2.5M with the ability to scale up to 10M to fit the specific needs of your shoot. Need to match an Alexa or a RED? 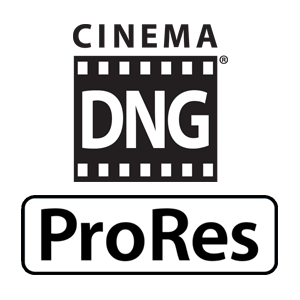 We record cinema quality 12 bit RAW in up to 5.2K resolution while simultaneously creating proxies to streamline your workflow. A FAA certified Remote Pilot flies the aircraft while the Gimbal Operator frames the shot and a Visual Observer maintains visual line of sight with the aircraft. FAA Chats and Regulations are complex. We have the knowledge and experience to guide you through this essential process and advise your team as to what a drone can safely and legally accomplish. Please contact us with questions or to begin planning your shoot. Safety is our top priority. Please contact us to learn more about what a drone can safely accomplish. Here is a summary of the FAA Part 107 Rules. Please contact us to learn about what legal restrictions might be a factor for your shoot. The x5S camera has 12.8 stops of Dynamic Range and is capable of recording 5.2K resolution in 12 bit CinemaDNG Raw or ProRes 4444 LOG while simultaneously creating H.265/H.264 Proxies in up to 60FPS. The high data rate ensures plenty of information for professional color grading and or visual effects. We will coordinate with your post team to cater the acquisition settings to work for your post needs.